“Alcibiades” is a byword for a certain kind of decadent and ostentatious public figure, one who is attractive, ambitious, courts scandal, and is self-involved. It was with this archetype that I was most acquainted. I think in our high school Great Books class we read something called “Alcibiades” but I don’t think it was this dialogue. Alcibiades was also a very real person – one who figures as one of the major characters in Thucydides’ History of the Peloponnesian War. Before becoming embroiled in scandal, he was to lead the Athenian side in the Sicilian expedition . An investigation of some seemingly connected acts of vandalism led to a warrant being put out for his arrest (especially since he seemed to have slept with one of his rival’s wives), and he was later tried and sentenced to death in absentia. He then fled to Sparta (helping guarantee the failure of the Sicilian Expedition), gave them some vital Athenian intelligence, but then antagonized them somehow, and ended up in the Persian court. Wearing out his welcome there as well, he eventually ends up back in Athens, by which time, the political winds having shifted, he was no longer held accountable for his earlier crimes, alleged or real. It’s easy to see how a person who did all this could become an archetype. We hear echoes of him later in the stories of Julius Caesar, Marc Antony, Henry VIII, and then in the 20th century, John F Kennedy and even Bill Clinton. 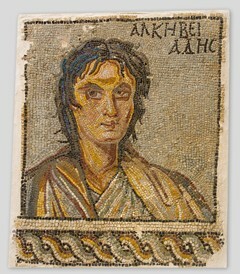 Alcibiades I finds its title character occupied by a seemingly no-longer-famous Alcibiades. Socrates announces himself as Alcibiades’ first lover, and also the only one who still comes around. The dialogue itself is a rambling sequence of discussions which begins by Socrates examining Alcibiades’ claim to being famous for his leadership. They talk about what art one must be good at to be good at leadership, though reach no firm conclusions. They then run onto discussions about justice, efficiency, honor, happiness and self-knowledge. At the end, Alcibiades seems to acknowledge that justice is a more important issue for successful statesmanship than he thought at the outset of the conversation. This is one of the dialogues that is often marked as spurious. I wonder if Nates has any input about the debate about identifying what is and is not Plato’s? My volume had a few pages by Jowett that readily admitted that it was difficult to reach firm conclusions about this issue. What he offered didn’t seem all that rigorous (two big criteria were what he called “great excellence” – that is, whether a dialogue displayed it was allegedly proof that Plato wrote it, and whether Aristotle cited it), He said that 19/20ths of what we attribute to Plato was likely written by him, but that there was no firm line to be drawn beyond that. This entry was posted in Uncategorized and tagged Plato, platoproject. Bookmark the permalink.